Tastings of the new Two Dragons brew being poured at Empire Brewing Company in Syracuse. East meets West in a glass at Empire Brewing Company in downtown Syracuse. 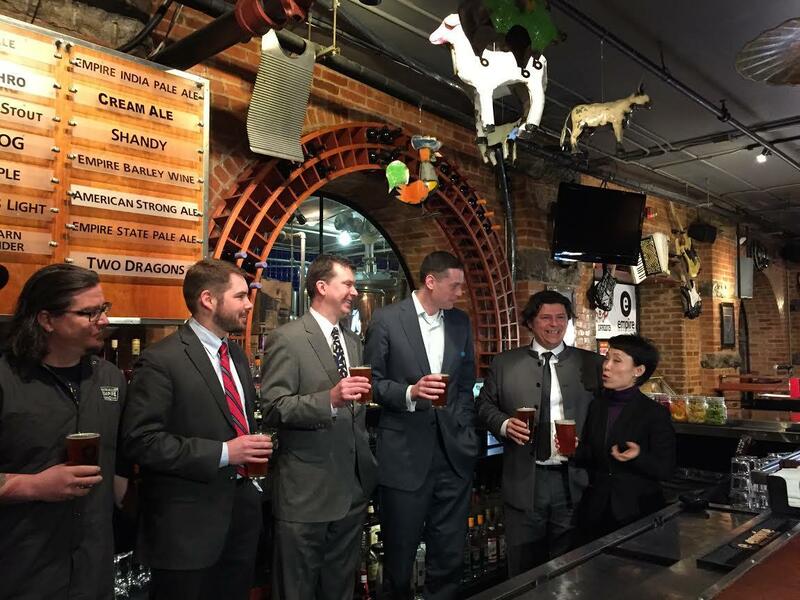 The new Two Dragon beer is the result of a Syracuse business delegation that visited China last year. The new craft brew relies on Fu brick tea imported from China for its unique taste. It got rave reviews when it was introduced at Empire this week, with tasters describing it as smooth, but with a little edge of tea flavor. Empire founder David Katleski says it actually makes sense to use tea in the brewing of beer. 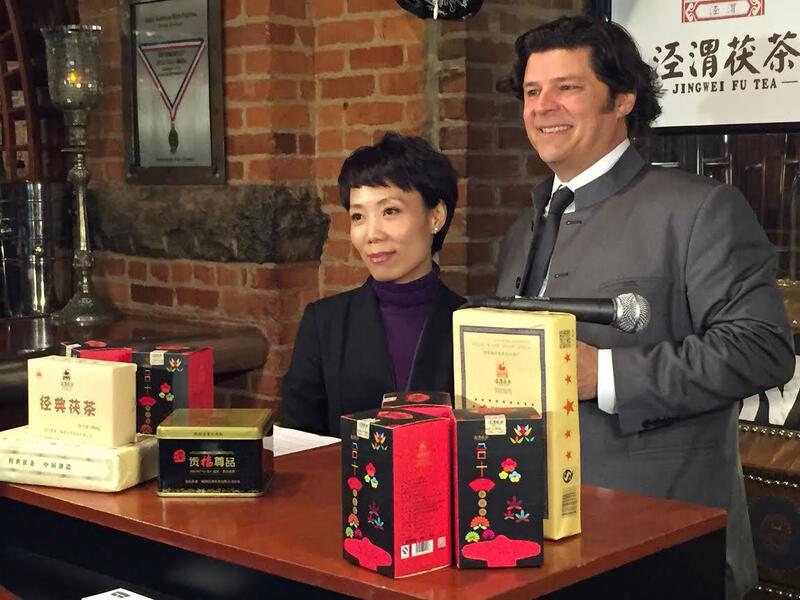 Jing Wei Fu Tea Company Vice President, Luo Ping, and founder of Empire Brewing Company, David Katleski. There is also a kind of synergy between Empire Brewing Company and the Jing Wei Fu Tea Company of China. Officials from the two companies met while a delegation of CenterState CEO staff and Syracuse community members, including Katleski, went on a seven day trip to China. CenterState President Rob Simpson says this can be an example of how companies large and small can take advantage of the global market. “I mean here we have a restauranteur and a craft brewer in Syracuse, New York that is doing a joint venture with a Chinese tea company. I think it shows the creativity and the potential that we want the entire region to follow suit,” Simpson says. As for the tea company, vice president Luo Ping expects the brew to find fans beyond Syracuse.